The KIKO Strobe & Sculpt palette (14.90 GBP) is a cream duo containing a soft warm white based gold and a neutral medium brown shade. 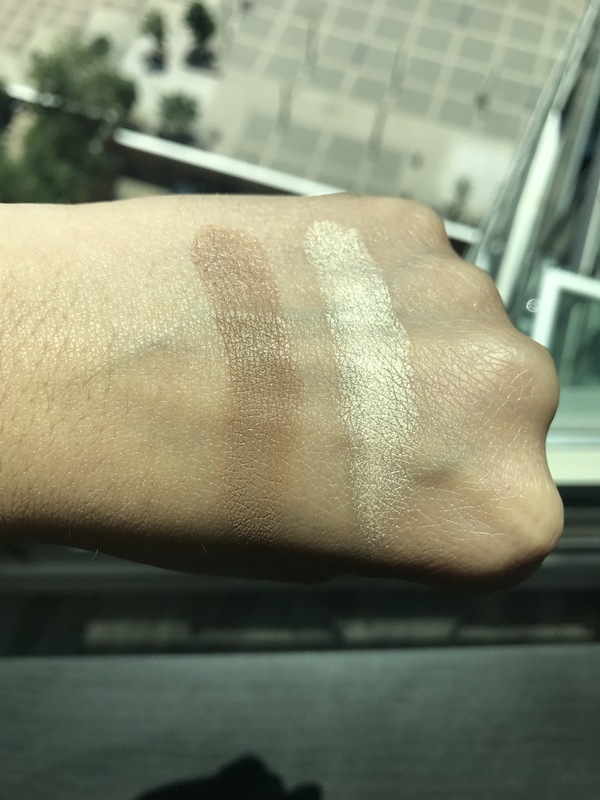 The shades are very creamy to the touch but dry down to the appropriate finish: the highlighter maintains its reflective shine but dries down enough to stay in place and the contour dries down matte. Once applied, neither of the products need to be set with powders for dry to normal skin types (whereas oily skins might want to set the creams with a similar coloured highlight and contour powder to ensure longevity). The shades blend out nicely without being blotchy so I can keep my edges diffused for a natural effect. Although I typically like to contour with cooler brown shades that pull slightly grey (to mimic the effects of shadows), this shade is neutral enough to apply to my contour/bronzer areas as a one and done to add definition and colour. This is a really good quality palette for the right price, which is why its beauty swatched approved.